Tasting Note: A rich colour with light amber highlights characteristic of 2006, a year of very fine ripeness. 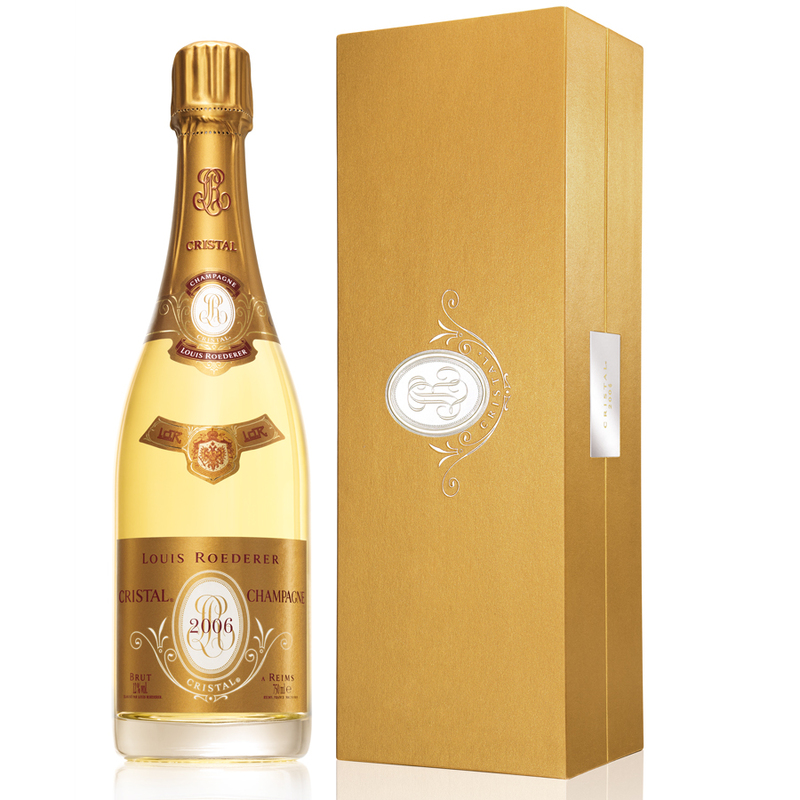 There is a rich bouquet with citrus fruits such as lemon and orange. A few hints of tatin tart and Danish pastries add a final touch to the already complex range of aromas. The texture is incredibly concentrated, giving the impression of biting into a ripe, fleshy fruit. The palate is enveloped by this depth of juicy, silky fruit which soon makes way for a pure, sharp and graceful freshness. “60% Pinot Noir, 40% Chardonnay. “2006 was a very warm year, characterised by contrasting rainfall patterns. Following on from an unusually cold and rainy August, a warm, dry September hastened up the ripening process producing distinctive, rich, complex grapes. Disgorged January 2013. 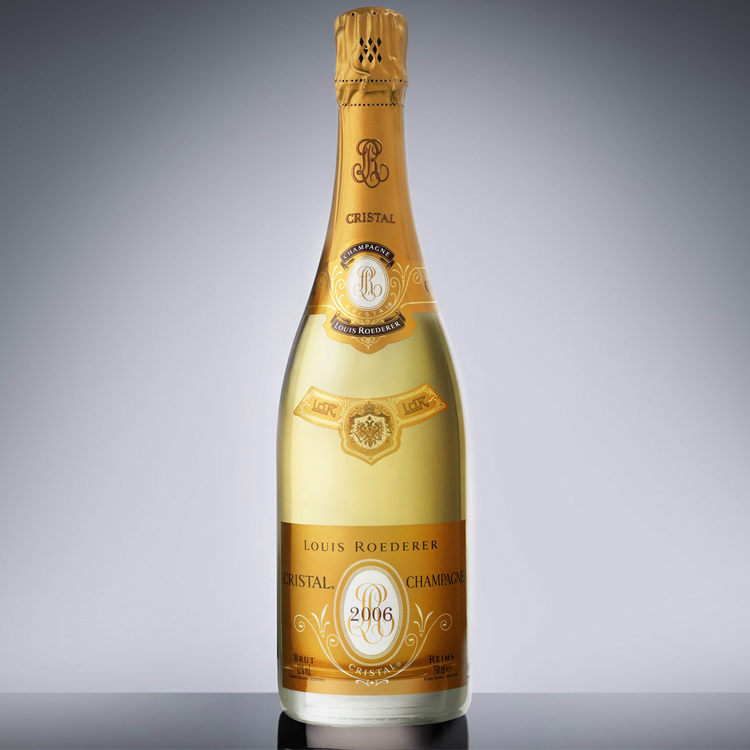 “Roederer’s 2006 Brut Cristal is striking in its sense of lift and delicacy, serving as one of many instances where those bringing preconceptions of this vintage’s warmth and ripeness of fruit to their experience may be pleasantly surprised. A nose of fresh apple, fennel and cucumber sets up associations with a slaw or salad that are crisply, lusciously and refreshingly redeemed on the palate. A garland of honeysuckle and heliotrope complements subtle suggestions of raw almond and vanilla, while alkaline and iodine notes as well as cooling but pungent green herbal notes add to the soothing yet stimulating finish. This exceptionally poised, refined, and buoyant performance is apt to gain depth with a few years’ bottle age. 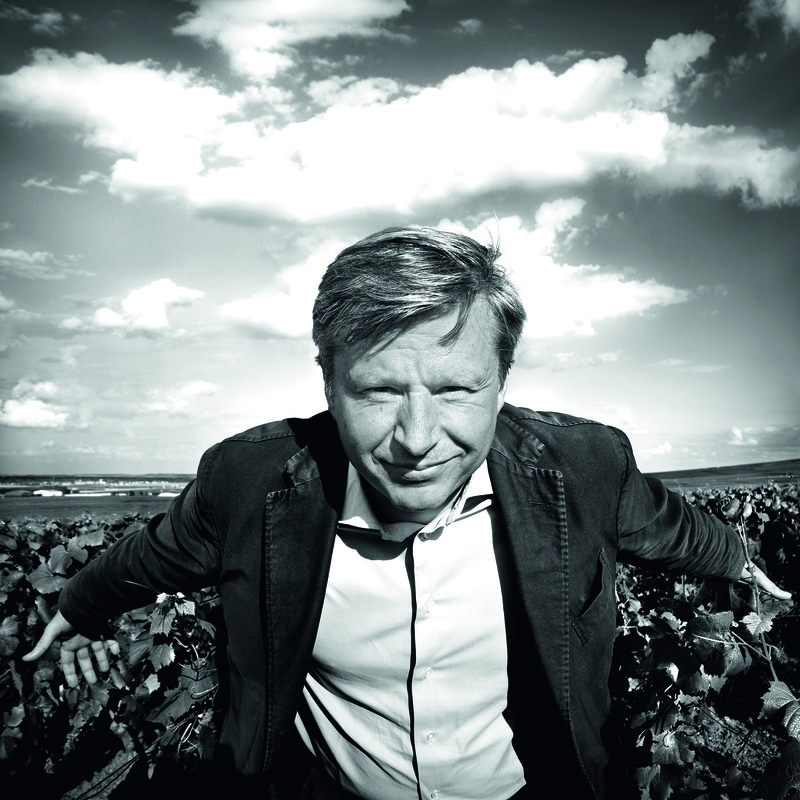 Owners of vast vineyards (totally some 500 acres) that supply the majority of their fruit, Roederer also presides – by design as well as due to that vastness – over a mind-bending number of micro-vinifications, divided entirely between tanks and foudres, supplemented by a concomitantly deep and diverse range of reserve wines. But for all of the variety that these phenomena entail, scarcely any lots undergo malo-lactic transformation.